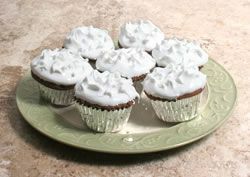 This decorating idea begins with a simple frosting design. 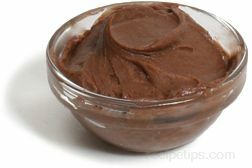 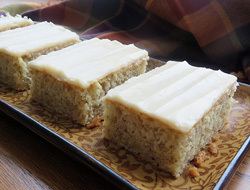 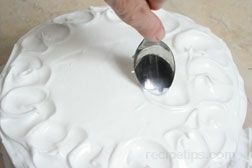 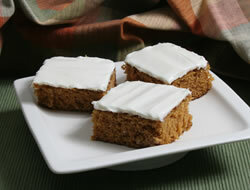 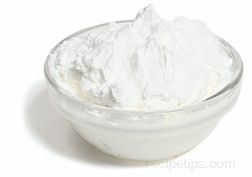 Begin by applying the top coat of frosting and smoothing it on the top and sides. 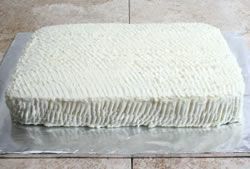 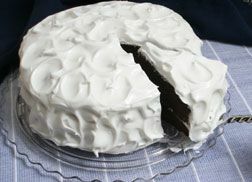 Like several of the simple frosting designs used in decorating cakes and other desserts, there are not any special cake decorating tools needed. 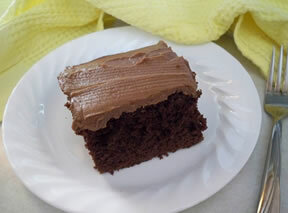 Only a spoon is required. 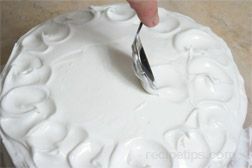 Using the tip of a spoon, make swirl designs in the frosting by first making a half circle to the left, starting at the 12 o'clock position swirl down to the 6 o'clock position. 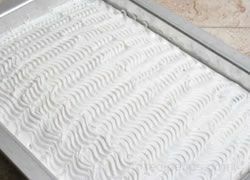 In the same manner, start at the 12 o'clock position again and swirl to the right, down to the 6 o'clock position, meeting the bottom of the left half circle. 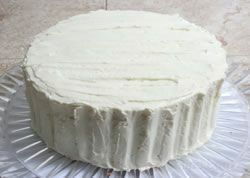 Continue to create the swirled circles until the top has been covered. 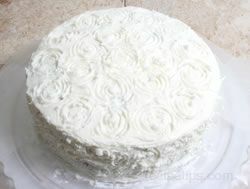 Once the top has been filled with swirls, create the same design pattern all around the sides of the cake. 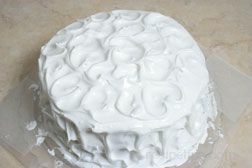 This same simple frosting design method can also be used to make random half circle swirls all over the cake rather than connecting them together into a circle. 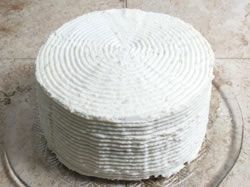 When finished, the swirled frosting design provides a nice decorated touch to the cake, perfect for any special occasion.